Today I met my biological father for the second time since being adopted as a little girl. He was so kind and so sweet. He kept hugging me. Every time he sat near me or stood near me he was touching my back or somehow showing physical affection. He even teased with me, picking on my little sister and I. There was a spark in his eyes that made me fight back tears in mine. I recognized that spark from being a parent myself. For the first time in my life I got to feel the love and pride of an earthly father. I not only felt it, but I could see it. I had waited my whole life for this moment. I don’t understand why this was taking place at this time of my life. My first instinct was to get angry at why I had to miss out on having a daddy who would love his little princess the way my husband loved our girls, or the way my son-in-law loves my grand-daughter. I wanted to cry for the little girl who missed out. After a little pity party I opted to view the situation differently. What a blessing it is that I have been given this one night to experience what I have waited a life time to feel. My dad is getting up there in age, and I am not sure I will get to see him again this side of heaven. Should our paths not cross again, I feel I received a precious gift from God that allowed a little hole in my heart to be filled. 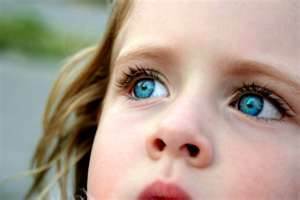 Looking into my dads blue eyes I saw mine, glancing quickly into his tender heart, I could see mine. His need to always be on the go doing something, he passed on to me as well. Had circumstances been different I have a feeling I would have been a daddy’s girl. All I can do now is speculate in vain what things could have been like, or accept and enjoy what I have been given today. It has always been difficult for me to understand God as a loving Father because I did not know what that truly looked like. I have met some pretty wonderful guys who were good fathers, but it is quite different going your whole life just seeing it than actually experiencing it. My meeting with my dad reminded me of God the Father. I imagine the spark that I saw in my dad’s eyes can also be seen in my heavenly Father’s eyes, only magnified. Though I fail and fall very short, His love for me remains unconditional. Though I do nothing spectacular in this world’s eyes, He is proud of me just because I am His daughter. His love is perfect, it never fails and it never ends. I am grateful to have met my dad, but I am thankful that through all those years I have always had a Father in God.